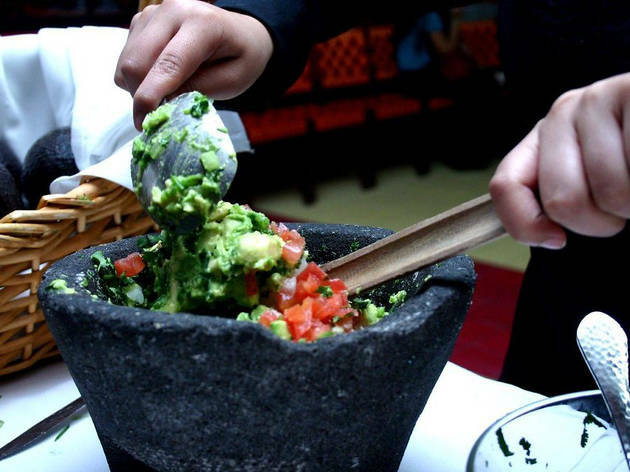 Avocados’ superfood status and year-round availability keeps them in high-demand by Gothamites, where they can be found as avocado toast at coffee shops in NYC or whipped into the best guacamole in NYC at the city’s best Mexican restaurants. 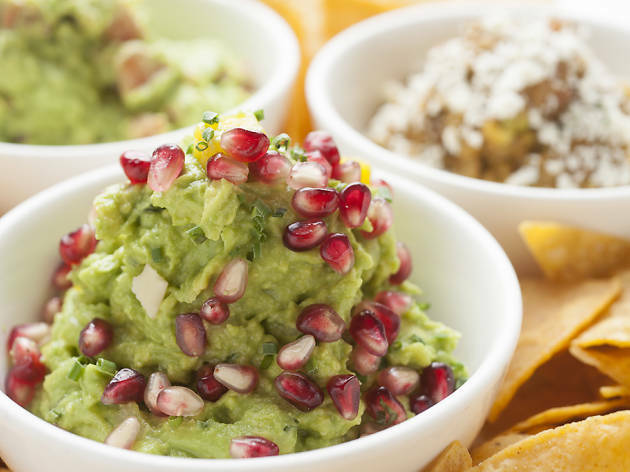 Whether as bar food to go along with your cerveza or an accompaniment to one of the best tacos in NYC, these are the best guac dips in town, from strict classics to a hefty battered fritter. 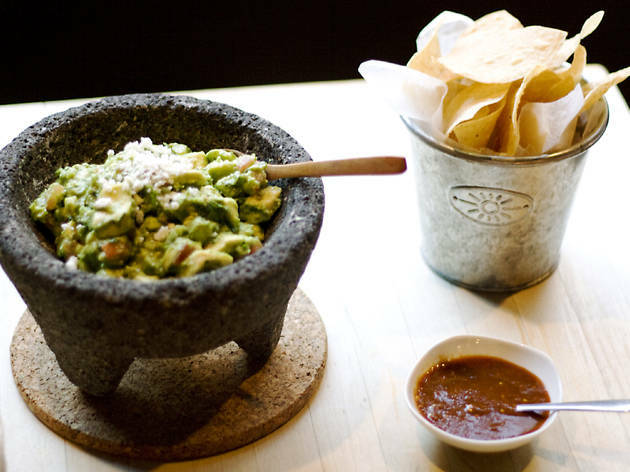 This David Rockwell–designed Mexican restaurant has vivid terrazzo steps, a two-story blue-tile water wall and backlit pressed roses that brighten the first-floor bar. 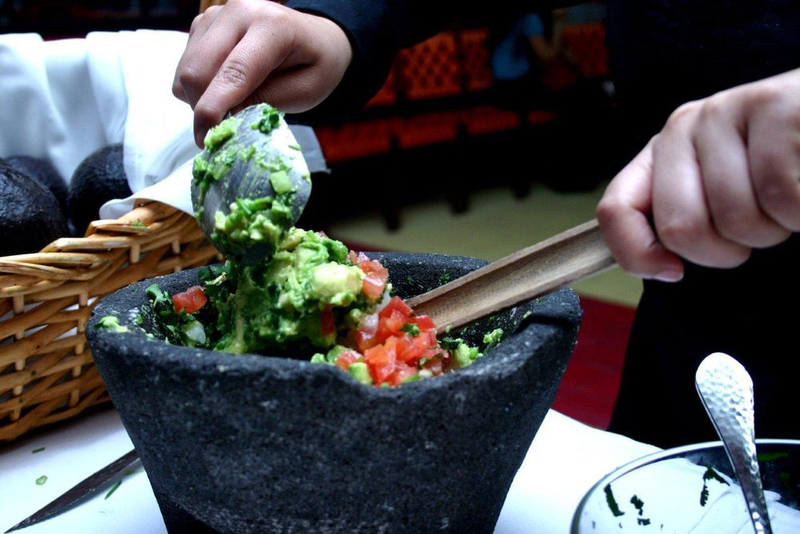 The guacamole, prepared tableside to your specifications, launched a pestle craze in New York; the stuff is still the chunky, spicy standard by which others are judged. 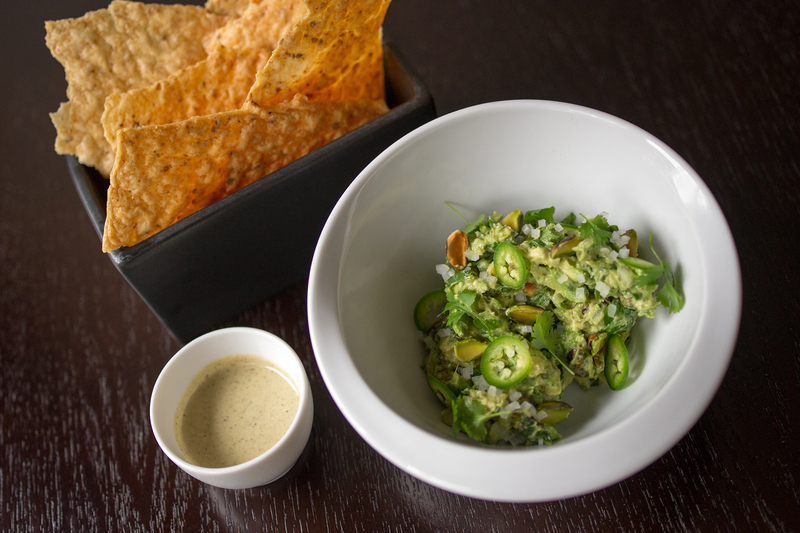 Alex Stupak turned heads (and strict purists) with this crunchy, textured beauty that comes with masa crisps in lieu of the garden-variety tortilla. 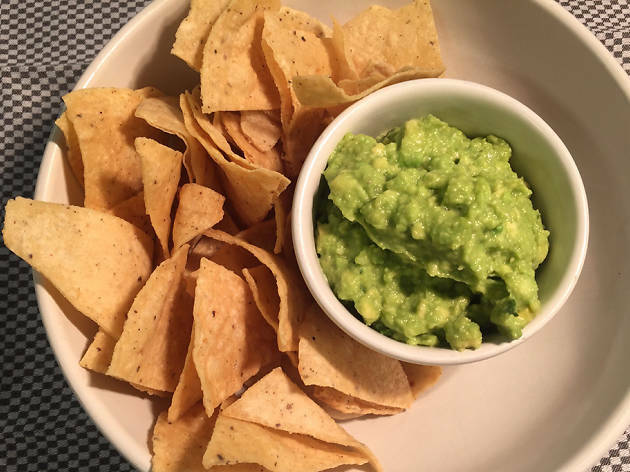 The thick dip uses mashed Hass avocados, pistachios lightly sautéed in olive oil, minced onion, cilantro and jalapeños—with a teaspoon of the reserved nut oil drizzled over the top. 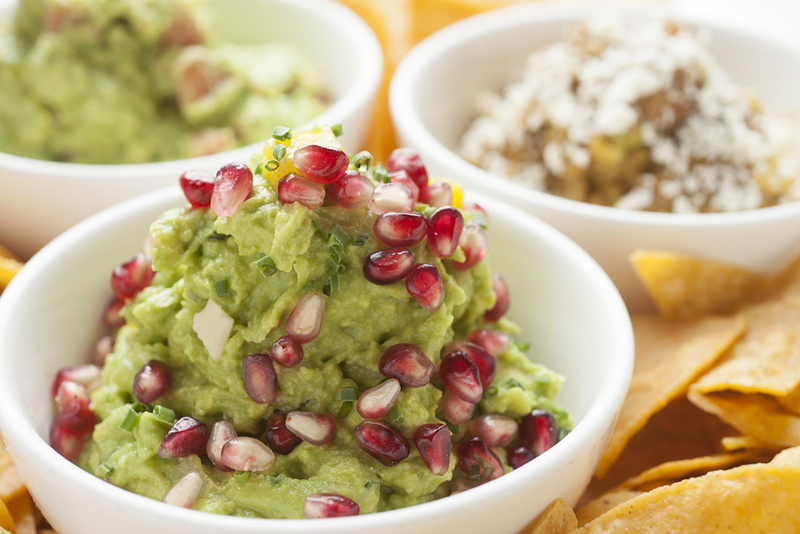 It’s fitting that this Theater District spot boasting bright tiles and murals would offer a similarly colorful riff on guacamole. 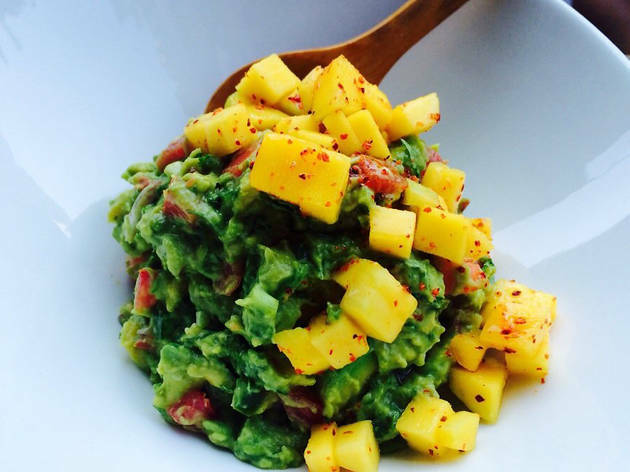 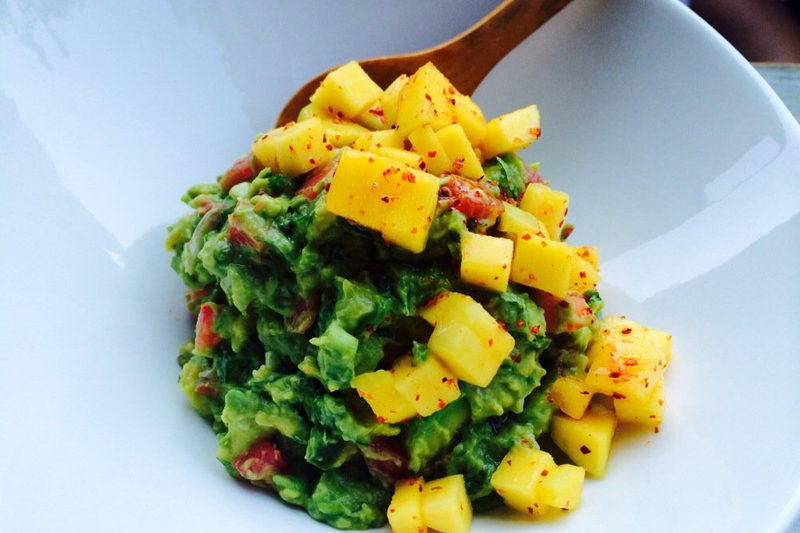 This fruity variation mixes Hass avocados with Vidalia onions and a basket's worth of produce like diced mangos, peaches, apples and pomegranate seeds. 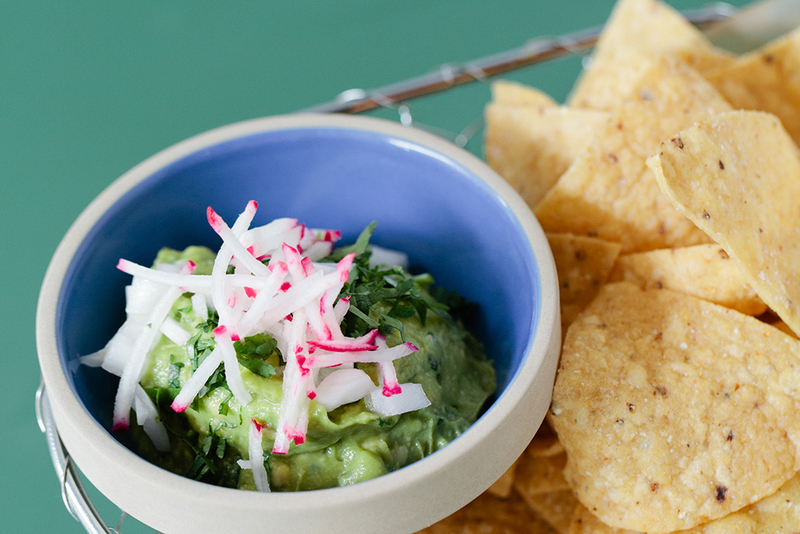 Balancing the sweetness are sprigs of herbaceous Thai basil, dollops of zesty habanero salsa and lime juice. 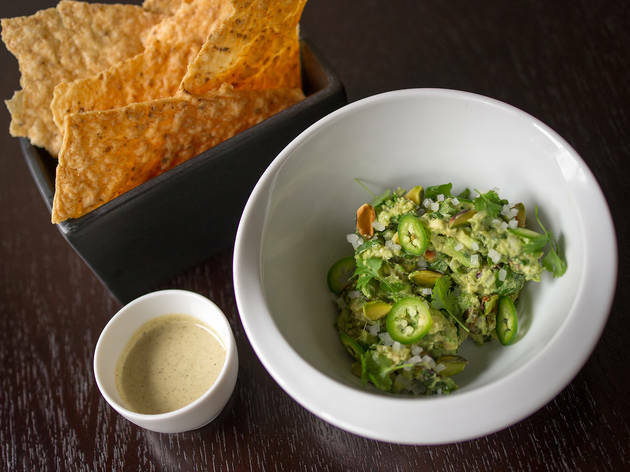 You’d be hard-pressed to find missteps in Enrique Olvera’s fine-dining menu, and that thoughtful, high-brow touch extends down to lowly basics like soft corn tortillas and smooth guac. 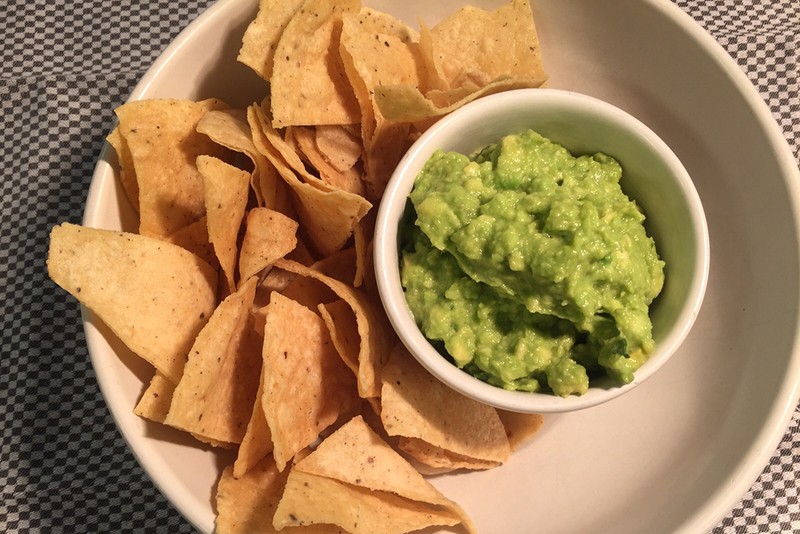 The Mexican megatoque skips lime in this pitch-perfection rendition, spicing up a traditional blend of room-temperature avocados, onions, cilantro and salt with serrano chili juice. 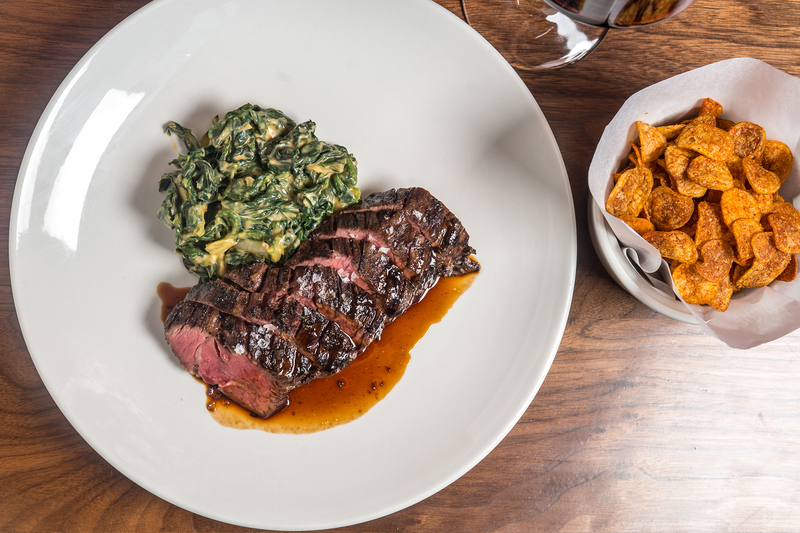 Packed with locals since it opened, Fonda is a South Slope hit. 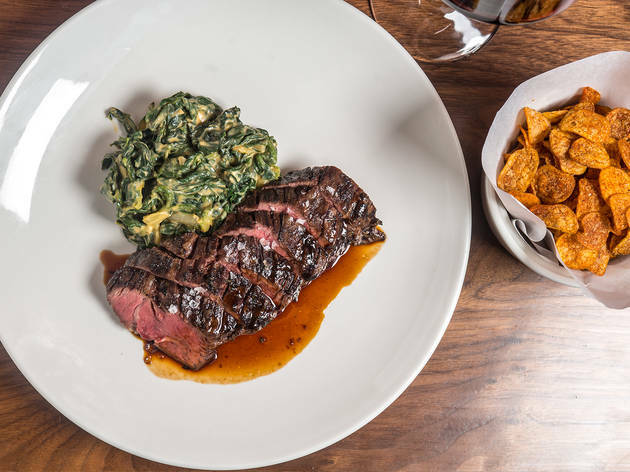 The spare room is mercifully devoid of South-of-the-Border kitsch: red paint on one wall, exposed brick on the other, and a bar wrapped in multi-colored fabric. If the decor is restrained, the food—contemporary, upscale Mexican—is comparatively indulgent. 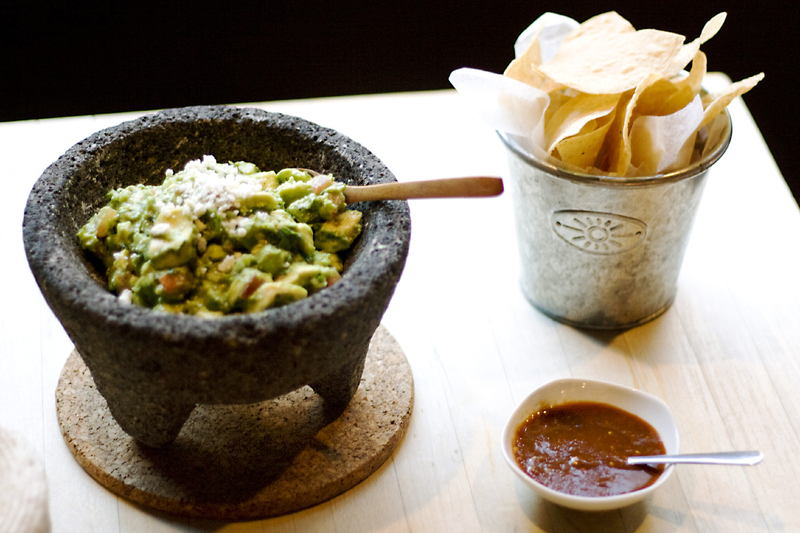 Guacamole was some of the best in town: vivid, garlicky and hot with raw chiles. 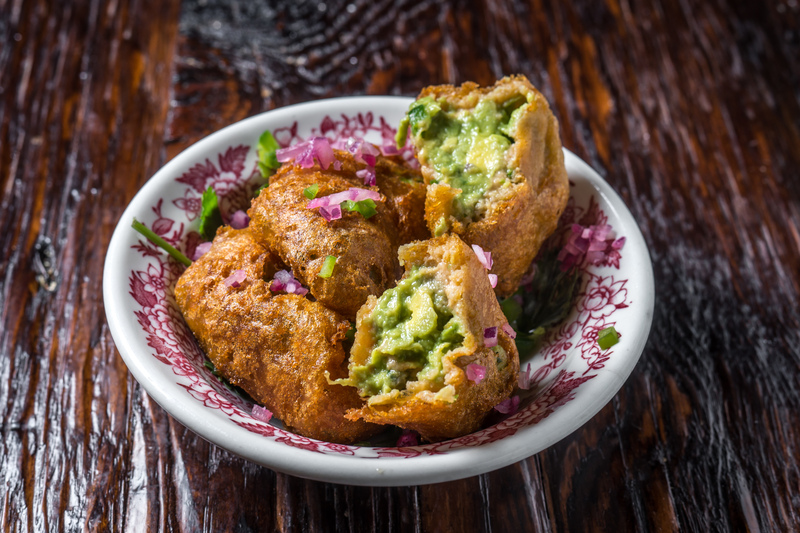 This low-lit, monochrome East Village cantina, from Ofrenda amigos Jorge Guzman and Mario Hernandez, busts out of the tortilla-wrapped norm, spotlighting tribal delicacies like grasshoppers, worms and, yes, the namesake ant.The latter is turned into a salt to season the house guacamole, which comes flavored with chipotle, garbanzos and cilantro. 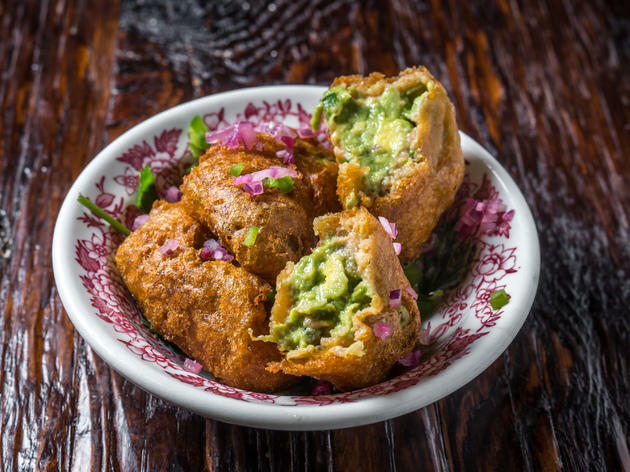 Beneath Angelo Sosa’s Tribeca taqueria Añejo, find a subterranean booze den slinging tequila, mescal and these gut-sticking fritters nestling the tried-and-true avocado, cilantro and onion blend in a turmeric-infused batter shell. 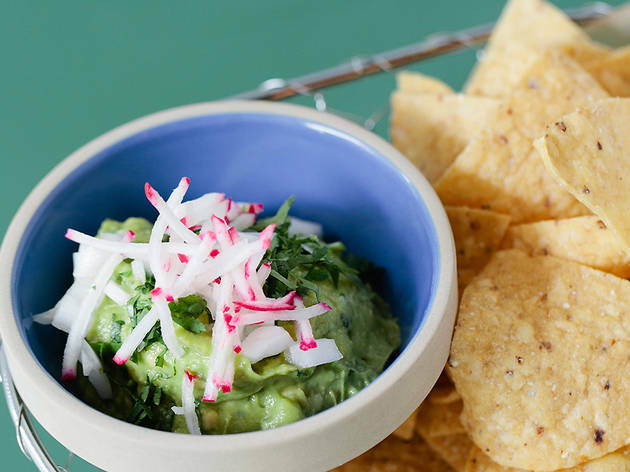 At his East Village eatery, chef Marc Meyer whips up an unfussed take on guacamole, with chopped onions and cilantro folded into the smashed avocado base and a crown of julienned white radishes on top.